Bitcoin and other cryptocurrencies plummeted once again on Monday. Bitcoin has dropped through the $6000 level, fell to a one year low, and almost touched the $4500 barrier. What is a worry for bitcoin and altcoin holders, is a great opportunity for CFD traders that can take short positions. Make sure you have your trading accounts ready when huge price swings come. 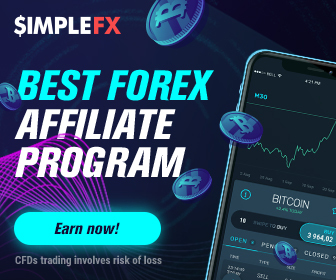 If it comes on November 22-23, you can trade with SimpleFX WebTrader with -50% spread on each transaction with no limits! On Sunday and Monday, November 18-19 digital coin market capitalization fell by more than $14 billion. 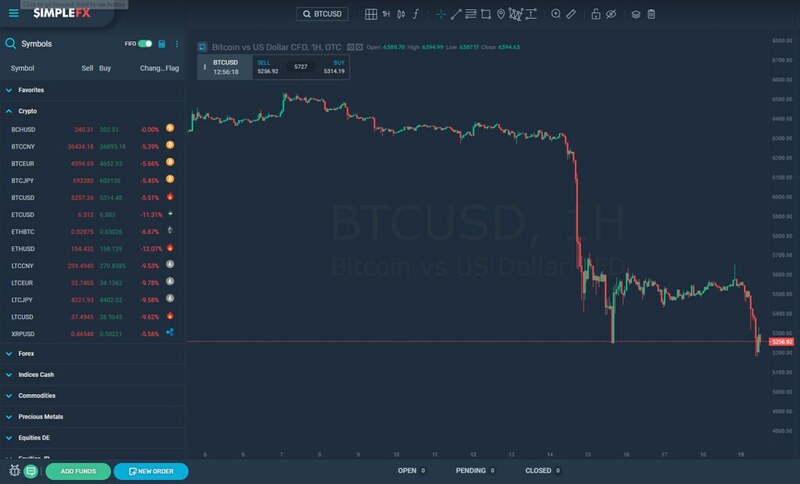 On Monday morning (UCT) Bitcoin fell sharply reaching the lowest point in over a year. The leading cryptocurrency almost touched the psychological barrier of $5000. Major altcoins - Ethereum, XRP, Bitcoin, and Litecoin followed. Bloomberg Galaxy Crypto Index dropped by almost 7 percent to a one year low, too. Before the mid-November, it seemed that the $6,000 level for Bitcoin is a hard barrier. The bulls defended it for over half a year. As you can see the price dropped below the barrier and the market started testing the next $4500 wall. Analyst comment that finally the volatility may have returned to the cryptocurrency market. The recent sell-off was probably caused by two events. First is the growing concern about the bull market last. 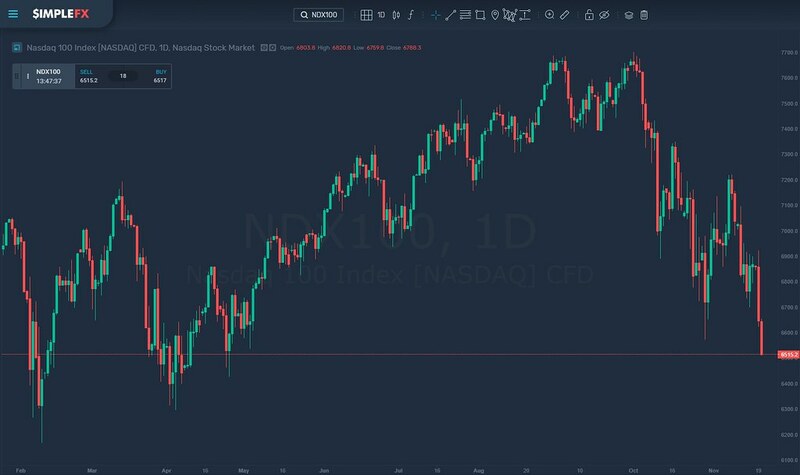 As you can see on the 1-day Nasdaq 100 Index chart below, the stock market is falling since the beginning of October. Second is the uncertainty and division among the cryptocurrency leaders and developers. Last weeks’ Bitcoin Cash hard fork may have caused some of the stir. The network divided after rival software-development groups failed to reach an agreement on how to improve the altcoin. That led to a kind of cold war with computing power, instead of nuclear power, arms race. Since it’s creating, which came as an effect of a feud between original Bitcoin factions, Bitcoin Cash was supposed to perform a scheduled protocol upgrade twice a year. It was always assumed to be a hard fork, that is a protocol change where the nodes running previous versions will no longer work with the new version nodes. The newest hard fork was supposed to happen on November 15 but was sabotaged by competing groups. As a result, BCH split into three factions - a conservative Bitcoin ABC led by Roger Ver that believes BCH worked well, a progressive Bitcoin SV led by Craig Wright, who had declared himself as BTC creator Satoshi Nakamoto, and a neutral consolatory fraction Bitcoin Unlimited. 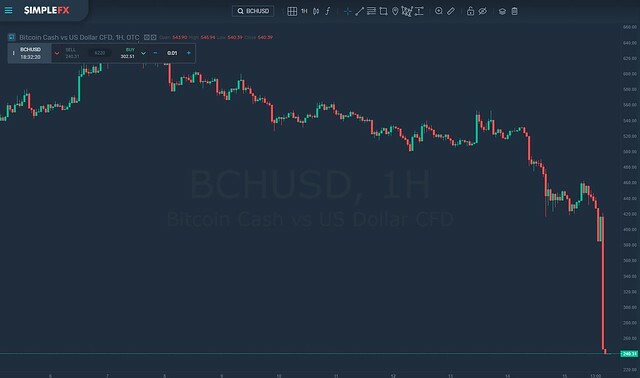 Here’s what happened to BCHUSD as a result of the conflict among the developers, source: SimpleFX WebTrader. At the moment the most aggressive crypto bulls are reviewing their forecasts. A managing partner at Fundstrat Global Advisors Thomas J. Lee cut his BTCUSD target for the end of 2018 from $25,000 to $15,000. 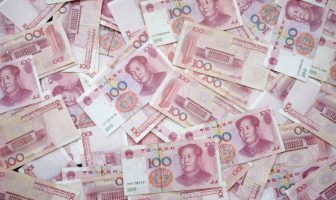 His explanation is quite clear: “Crypto-specific events have led to greater uncertainty in the crypto market, including the contentious hard fork for Bitcoin Cash,” said Lee quoted by Bloomberg. Make sure you make the most of the possible price swing coming. 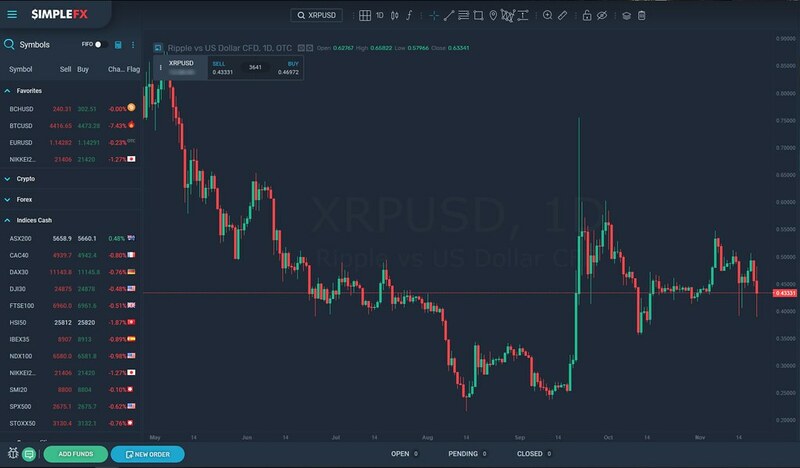 Deposit some money on your crypto CFD trading accounts. SimpleFX WebTrader app designed for mobile is a perfect solution for reactive trading. It offers free multicurrency accounts, including Bitcoin, Bitcoin Cash, Dash, Litecoin, Ethereum, and no minimum deposits. Give it a try now, and make sure you keep SimpleFX WebTrader in your pocket when you learn about next steep crypto price moves. There’s one more reason to trade with SimpleFX in the next days. On November 22-23 the broker launches an amazing Black Friday promo, cutting the spread on each transaction by half. It’s a total, unlimited 50% discount for every trade you make! Go to SimpleFX WebTrader for more details.